Localles wouldn’t be surprised if you haven’t heard of them. In fact, they would be surprised if you HAVE heard of them. Their grunge pop sound has been honed through the collective experience of it’s members. No strangers to the music scene, Localles are excited to be bringing new sounds for you all to hear. Localles have set their sights on something a bit broader than local. “We’ve had great support so far,” Ted says. “We are hoping that with the new songs we can widen our horizons and show more people our record and our live shows.” Their fiery live shows are already garnering positive responses from audiences. 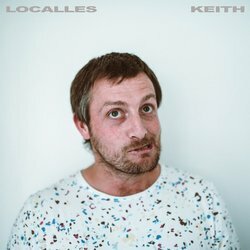 Opening with lazy vocals and feedback guitars, ‘Keith’ presents a grungier, rawer and rockier approach to their formerly established grunge-pop Localles sound. Throughout the track, the guitars wails and the drums drive the bass heavy track. All tied together with the familiar sound of lead singer Ted O’Neils vocals and comprehensive lyrical content.